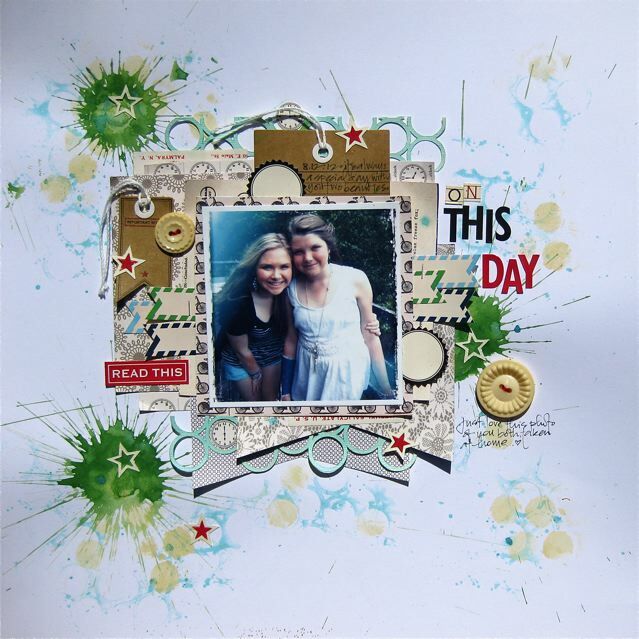 jbs inspiration: moving in circles..
Hi everyone, Gina here to share a layout using some cool JBS cut files. I'll admit I don't actually have a digital cutting machine so thanks to the lovely Natalie for coming to the rescue :) I've used the backdrops 1 cut file on this page..
From the star die-cut section which is in the same cut file, I've hand cut several stars and placed a red star from the apothecary sticker set inside a few of them. The paint splatters have been made using a 'seed packet' paint dabber and few drops of aqua mist..
You have an amazing style Gina! This is a beautiful layout! The splatters are the bomb! What a terrific layout Gina!! 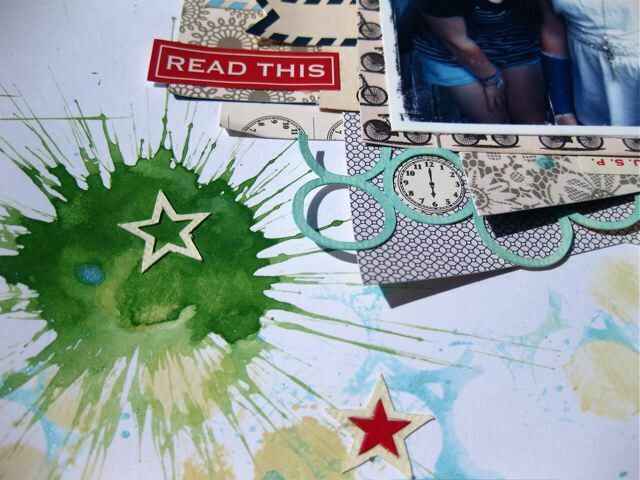 Love the green paint splashes and I love that background cut file! Oooohhh love this. I had no idea JBS had cut files. Gotta check that out. 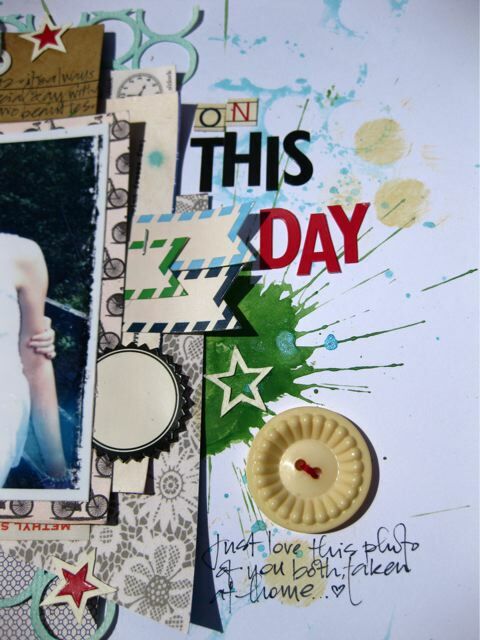 This is such agorgeous and fun layout Gina! You rock girl!! I love everything about this layout! The texture and colors are all so gorgeous! Really awesome! I really love those inky/watercoloury green splats. And the layered banner sticker labels are awesome. And love the bit of airiness the layered circle cut adds.